I am having a really difficult time composing a post for this book, and it is taking too long. I rarely do synopses of books, and I definitely cannot do one for To the Lighthouse. It is not a typical novel. The only thing I can focus on is my READING EXPERIENCE. Reading To the Lighthouse is like . . .
or the strong lyrics of Liz Phair. It is deeply emotional or extremely abstract. Reading Woolf is truly an emotional experience as opposed to a collection of hard facts or certain truth. To the Lighthouse is altogether an emotive inner journey. Should you be surprised? There is very little foundation or structure to the story; instead Woolf tells different versions of stories from the perspectives of the characters by exposing their private, personal judgments, fears, vulnerabilities, and opinions. This enables the reader to feel empathy toward any or all of the characters, which is not a terrible outcome. It is a benefit to the reader. There are themes, yes -- of course! Themes of time, memory, traditional roles of men and women, life, and death. Everything is familiar to the reader because these are all ideas that humans experience and think about. But everything is fluid and vague and formless. Woolf explores these themes in a very emotional sense. You just have to go with the flow. You just have to enjoy the journey for the feelings and the visuals that you may experience while reading it. I don't know how else to describe it. If you have not read Virginia Woolf, understand that she experiments with narrative techniques; you will find that it is a completely different experience than reading traditional novels. When I first read Mrs. Dalloway, I did not like it. I survived it only because someone told me to read it like there was no plot. That is how I had to read To the Lighthouse. Since I am now familiar with her style and know a little about her personal struggles, I like to read her books. 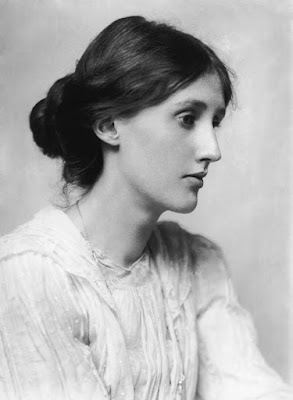 I find that reading Woolf magnifies my own contemplations and sentiments, especially if I can relate to her characters. If you want to start reading Woolf, you may want to begin with The Voyage Out, which is more traditional. Well, sorry I cannot make more sense of it, but nonetheless, I am excited to move on to another Woolf: Night and Day. I wasn't very fond of To the Lighthouse, but I have a strong suspicion it would improve with a second read...or even like you if it had some exposure to VW previously. My experience was in reverse of yours. 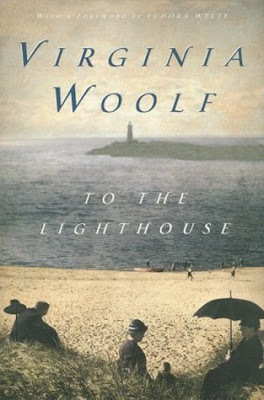 To the Lighthouse first, and Mrs. Dalloway later, and I ended up liking Mrs. Dalloway better. And yes...she's a bit tough to review. How interesting. And I think you are correct. It helps to be familiar with her style before you really get into her work. Thank you. I like your description of the setting. You once said the flow was reminiscent of the sea, and I couldn't help feeling that movement through out. I liked reading it that way, too. I was pretty skeptical about reading this work since Ms. Woolf has not been a good experience for me; but I read it as part of one of the Spin's earlier this year and I loved it! I know it is a very difficult novel to review and I struggled with it as well. I think you describe it perfectly when you say its like a "psychedelic music of Bjork" ...I loved the work precisely because it kind of flowed naturally but without a clearly defined course and yet managed to say so much. Glad you like it...I too must read one of her other works soon!